We deliver what you and your guests want. We are here to provide a simply amazing and flawless mystical experience for you and your guests. To bring guests/peers closer together by providing accurate and meaningful insights. To uplift, inspire, and motivate others with a fun and upbeat approach. 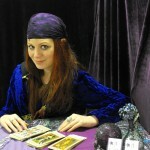 To reduce or eliminate the fear out of getting a paranormal reading. To provide a greater appreciation and acceptance of psychics/readers. 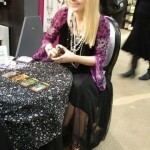 To demonstrate that psychics can add so much value to an event. To promote and uplift the psychic industry through professionalism and integrity. 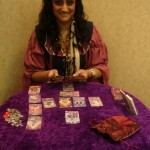 To be a successful event entertainment company, run by a psychic, who only offers psychic event entertainment services. To not only go above and beyond what is offered by any other psychic providing event entertainment but to continue to be the leader in psychic event entertainment. To give reading opportunities to spectacular readers, that wouldn’t otherwise have them without our support. To create an atmosphere that fosters and encourages personal and professional growth, learning, sharing, and passion. …to not be just another job, company, or money in the pocket! To enjoy long term relationships with our readers and to make available opportunities no matter where they choose to live in North America. Our mission is to deliver what guests and organizers want in V.I.P. psychic (fortune telling, reader, etc.) event entertainment. We continually uncover the wants of organizers and guests so we can provide a simply amazing and flawless mystical experience. This entry was posted	on at and is filed under RokStories. You can follow any responses to this entry through the RSS 2.0 feed. Both comments and pings are currently closed.